Show and AGM: 2019, June 20-23, 2019. Our judge is booked for this event: Reiner Jakubowski. Reiner Jakubowski is the International Registrar for all new Peony introductions in USA, Canada, and any other country who is participating. 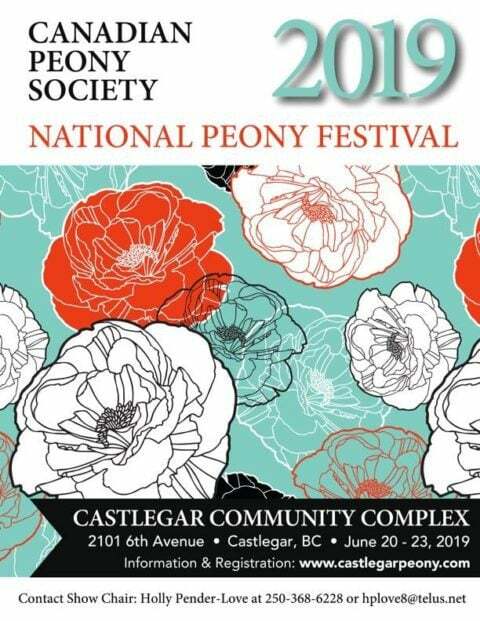 We welcome those interested in assisting with the upcoming Peony Show. We are building our team for the National show in Castlegar in June 2019.